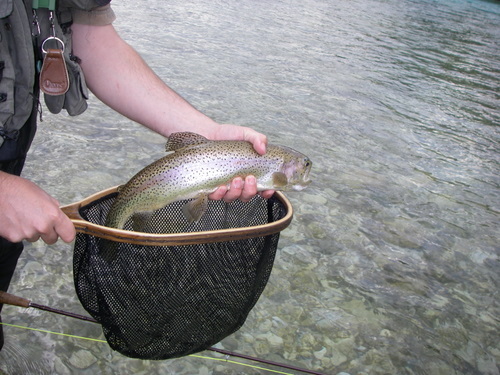 Here we are in june and the fishing season is opened for almost all of the salmonids (except the Danube salmon). The last one to open was the grayling (Thymallus thymallus). 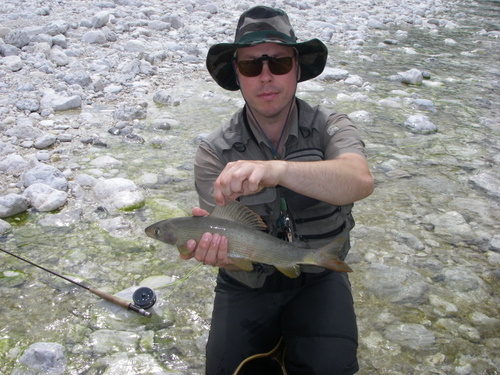 Some rivers are more abundant with grayling, and one of those is certainly Soca (Isonzo). Despite many other rivers who have less water the Soca river is still now higher and more turbid than normal. The main reason is the snow that is melting on the Julian Alps. I decided to visit it to see if the fishes became active in this period. 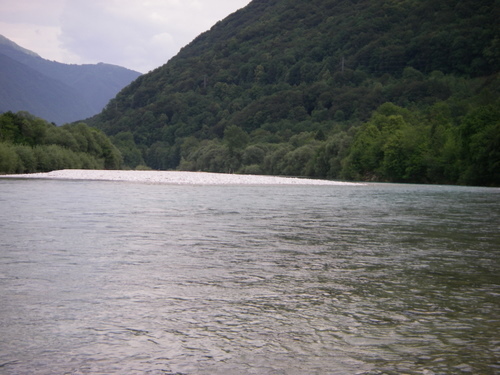 I started fishing upper the village Kobarid (Caporetto) near the confluence of river Boka and Soca. Here the water was very clear and you could see it´s inhabitants very far away. I tried under some rapids and caught some graylings with heavy nymphs. I also tried some streamers and dry-flies, but without success. In the afternoon I moved to the “No kill” part, which was very crowded with fishermen. Here the water was turbid and higher and so was the fish activity. They were lying on the bottom and disinterested for the flies. 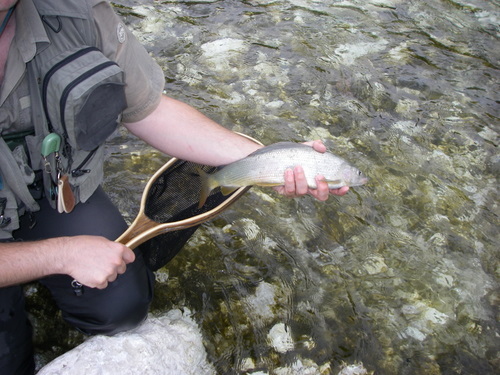 I saw only 1 fish rising, and caught it with a dry-fly. 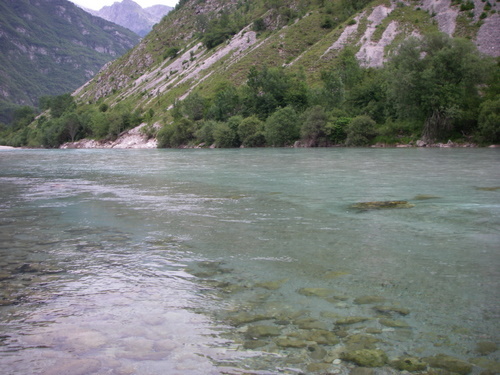 In my opinion I would recommend to visit the upper part of Soca river, because in lower part the fishes are not so active on the surface and in the mid-level. For those who prefer fishing with streamers the lower part would also be an option.